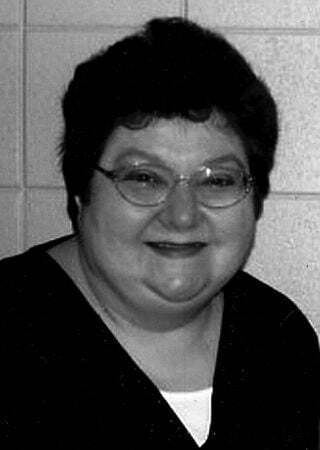 CALUMET TOWNSHIP/GARY - Patricia Louise Hales, a lifelong resident of Gary, went to be with her Lord and Savior on April 9, 2019. She is preceded in death by her parents Robert and Mary Hales. She was greatly loved and will be missed by her aunts and many cousins.Trisha was an accomplished pianist, vocalist and impactful educator. She was a graduate of Calumet High School, Class of 1973. She earned her Bachelor of Music in Voice Performance and her Master of Music in Voice Pedagogy from Indiana University, and was a Continuing Lecturer in the Communication and Creative Arts Department of Purdue Northwest. She was also Vocal Director at Crown Point High School. Trisha was the musical director for many theater productions throughout the region, and she gave private vocal lessons for over 30 years. Trisha was a devoted and faithful member of Grace Baptist Church. Her life was a testament of faith, diligence, generosity and compassion. Her love of music will live on through the voices of her many students. She will be greatly missed by everyone. Sing with the angels, Trisha. Friends are invited to visit with the family from 9:00 AM to 11:00 AM on Saturday, April 20, 2019, at Grace Baptist Church, 3935 Cleveland St., Gary, IN 46408, with a Funeral Service at 11:00 AM immediately following visitation; Pastor Jamie Constant, officiating. Interment, Evergreen Cemetery, Hobart, IN. For additional information, please contact HILLSIDE FUNERAL HOME & CREMATION CENTER KONNIE KUIPER-KEVIN NORDYKE by calling us at 219-838-0800 or visiting us at www.hillsidefhcares.com.